Ferrari came to Hungary needing a strong win after the huge setback of Silverstone and they got it, thanks to some determined team play and some clear-sighted tactics. 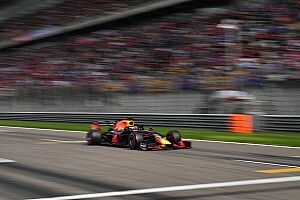 Mercedes, on the back foot after qualifying, considered various opportunities to attack but were hamstrung by radio problems and Lewis Hamilton with a poor start getting stuck behind Max Verstappen for the opening stint. The strategists’ mantra at Budapest is ‘dodge things that lose you time’, such as blue flags, slower traffic and poor starts that leave you behind a slower car. Once he got free he had more pace than his team mate Valtteri Bottas and was allowed through to try to pass Kimi Raikkonen, but in Budapest this year the tyre degradation was so low, it was hard to get sufficient tyre performance offset to make an overtake. Vettel had a steering imbalance and his pace dropped, but luckily for Ferrari, in Raikkonen they had a driver willing to play the rear gunner role and the win was secured. Was there a way Mercedes could have attacked Ferrari by splitting strategies and putting one car on a two stop and the other on a one? We will examine that and also how McLaren made Fernando Alonso work hard for his result. Budapest is like Bahrain, in that the difference is significant between Friday practice, where F1 teams do their homework, and the race on Sunday. This is because the track ‘ramps up’ or improves, so much over three days. After Friday practice some teams were talking about a potential two stop race, but by following the mantra of past seasons that the degradation halves from Friday to Sunday and the experience of these 2017 Pirelli tyres, one stop was on most people’s minds. Two red flag stoppages in the crucial Free Practice 2 session did not help the learning process about the tyres, however. Ferrari having had painful experience of two tyre failures in the closing stages of the British Grand Prix, could be forgiven for thinking in terms of two stops and their pace in the opening stint certainly suggested that they were capable of it. But the cornering loads on the tyres are far lower here and anyway Sebastian Vettel’s curious steering imbalance came into play. At the same time as that was playing out, the tyre degradation numbers revealed themselves to be low in the first stint. So the second stint for Ferrari was one of consolidation. They set a low pace and used Raikkonen to protect Vettel. Raikkonen made some comments about having the pace to win, but that was never on the cards as Vettel is the lead driver going for the title and in any case he would have potentially been vulnerable to losing more points to Bottas and Hamilton if he’d been exposed to them. You needed a pace advantage of at least 1.5 seconds at the weekend to make an overtake and even then, that could be countered by skillful defending. Hungaroring is a technical track where the driver can make quite a difference, so skillful drivers in slower cars were able to resist faster ones. Ferrari held the cards. It was up to the others to find a way to disrupt. Could Mercedes have split the strategies to attack Ferrari? Once the pattern was set in the opening stint with Vettel and Raikkonen one and two for Ferrari with Bottas third and Hamilton stuck in fifth behind Verstappen, Mercedes needed a Plan B. The obvious one would be to attack with Bottas on a very aggressive two stop and draw Ferrari into that game, knowing that Hamilton on a one stop would clear Verstappen once he made his stop and could then be brought into play. The key man here was Carlos Sainz, as Bottas would have needed to clear him out of his pit window in order to stop, otherwise Bottas would have been coming out of the pits into Sainz’ battle with Alonso and would have lost a lot of time. You needed a 21 second gap on Sunday to pit freely; Bottas was only clear of Sainz after 22 racing laps. In many races on many tracks the switch would have been an option, but not last weekend, where the tyre degradation numbers just didn’t support it. 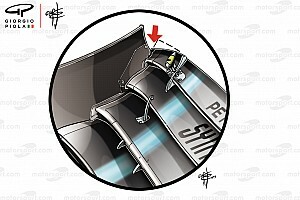 With hindsight, once it became clear later in the race that Vettel had a problem with his steering and had to stay off the kerbs, which constrained him to lapping around 1.5 to 2 seconds off the optimum, then the two-stop attack plan might have been an option and had they committed to it early there could possibly have been some pay back. But the risk outweighed the reward at the time. But Mercedes couldn’t go there anyway because they had communications issues with IT and radio not working properly and so the opportunity wasn’t there to pull the strings. Mercedes lost too much time getting their house in order to be able to try anything. Despite Ferrari managing their pace, Bottas made no progress in trying to pass Raikkonen. So Mercedes allowed Hamilton through to try, on the understanding that he would give the place back if unsuccessful. At the end of the season, will Mercedes rue the three points that Hamilton gave back to Bottas, arguably one of the biggest strategy calls of the season? It’s a tight championship and it certainly has swung greatly between Mercedes and Ferrari over the last two races in Silverstone and Budapest. On balance it looks like there are more tracks that favour Mercedes in the second half of the season and they clearly back themselves to get the job done. But the stark lesson of this weekend is that if you have a clear number one driver you have greater scope for amassing points than when you have to balance the needs of two. Mercedes have got away with their policy the last three years because they had a big car advantage. With such a tight championship, it will be some achievement if they win this year while balancing the needs of two drivers rather than prioritizing one. That moment will come, no doubt, but it was judged that this race was too early. Another by-product of the lack of variability in strategy options due to the tyres not degrading, was that the midfield became a game of follow-my leader and everyone just waited for everyone else. There were no aggressive undercuts and a couple of attempts at an overcut didn’t pay off. This led to a fascinating moment on Lap 35, when McLaren’s Fernando Alonso and Toro Rosso’s Carlos Sainz pitted together in their ferocious duel for sixth place. Normally you do the opposite of the car ahead. Alonso was behind Sainz at this point and had a growing threat from behind from Sergio Perez in the Force India. The Mexican was almost in undercut range, meaning he could pit first and use the new tyre performance to jump Alonso at his stop. But Alonso had also been in undercut range of Sainz, however McLaren didn’t try anything unexpected. The longest stint anyone in a midfield or front running car tried on soft tyres was 40 laps. To undercut Sainz around Lap 30 would have meant a stint of that length. But it remained a game of follow my leader. It was quite easy for Toro Rosso; they could see the rising threat from Perez to Alonso and therefore knew that Alonso would pit the next lap, so they came in ahead of him to cover. It meant that Alonso had to do the hardest thing, which was to overtake on track. He managed it, as he is something of a Hungaroring specialist. It was a brilliant drive by Alonso to finish sixth, also a strong affirmation of the qualities of the McLaren chassis, which have been debated this season. 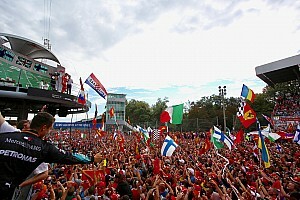 Alonso deserved his spell in a deckchair on summer break after that race! Again shows the gulf in performance between the top three teams and the midfield. Also note how much Ferrari backed off the pace after the pit stop. Compare Verstappen's trace in his second stint (nice upward curve) with Vettel's progressive downward curve, showing he was really managing the pace.